Greet your family, relatives, friends or yourself with the gift of good food. Purchase an A&W Gift Cards and use them at participating A&W Restaurants in Canada for buying a good food like burgers, breakfasts, chicken, drinks and more. *A&W Gift Card, Logos, Slogans And Related Marks Are The Property Of A & W Food Services of Canada Inc. All Rights Reserved. A&W Gift Card may only be used for purchases at participating A&W Restaurants in Canada and cannot be redeemed for cash. A&W Gift Card has no value until purchased and activated. To check balance or reload on your A&W Gift Card please visit aw.ca. A&W Gift Card may only be used for purchases at participating A&W Restaurants in Canada and cannot be redeemed for cash. A&W Gift Card has no value until purchased and activated. 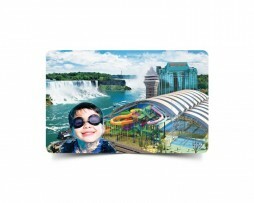 You may protect the balance on your card if lost, stolen or destroyed by registering it at aw.ca. Use of A&W Gift Card constitutes of these terms and conditions. If you have any questions or concerns about A&W Gift Card’s terms and conditions please visit aw.ca for more information.